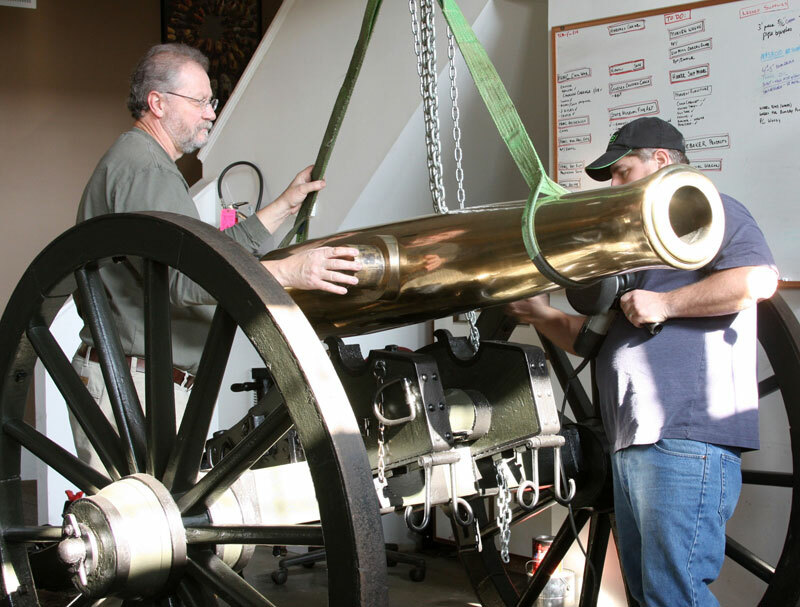 The Pennsylvania Historical and Museum Commission contracted BRH to conserve and restore this cannon which is currently exhibited in the lobby of the State Museum of Pennsylvania. 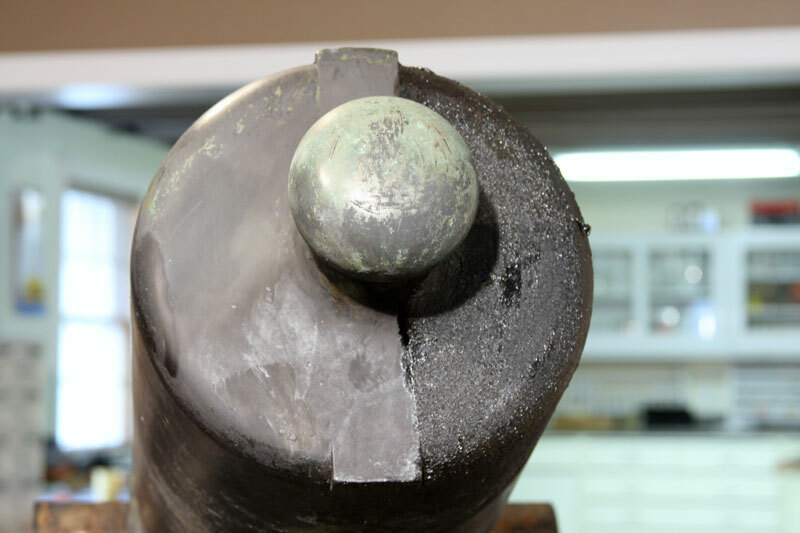 The cast bronze, smooth bore gun was fabricated in 1862 at the Revere Copper Company in Boston. It was one of five foundries producing ordnance for the Federal government during the Civil War. 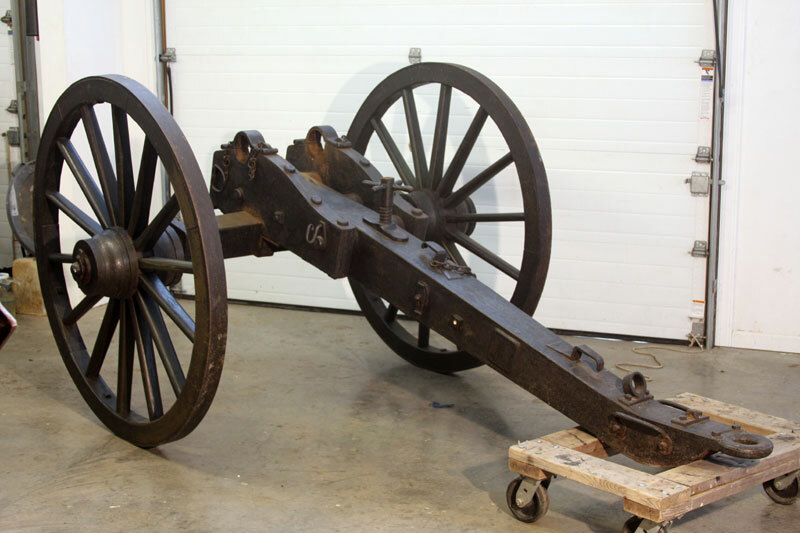 The gun was designed to fire a twelve pound round shot and was noted for its flexibility in both long-range bombardment and close range anti-personnel fire which made it the workhorse of all Civil War artillery. The gun was delivered to our studio and photo documented. 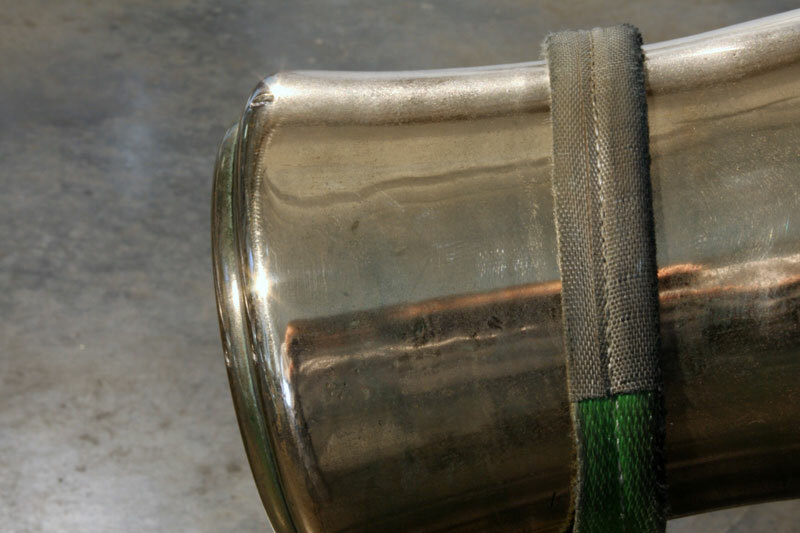 The tube was lifted from the carriage and a portable work cradle was designed and fabricated to hold the bronze tube. This cradle made the surfaces accessible while the over paint was carefully removed. 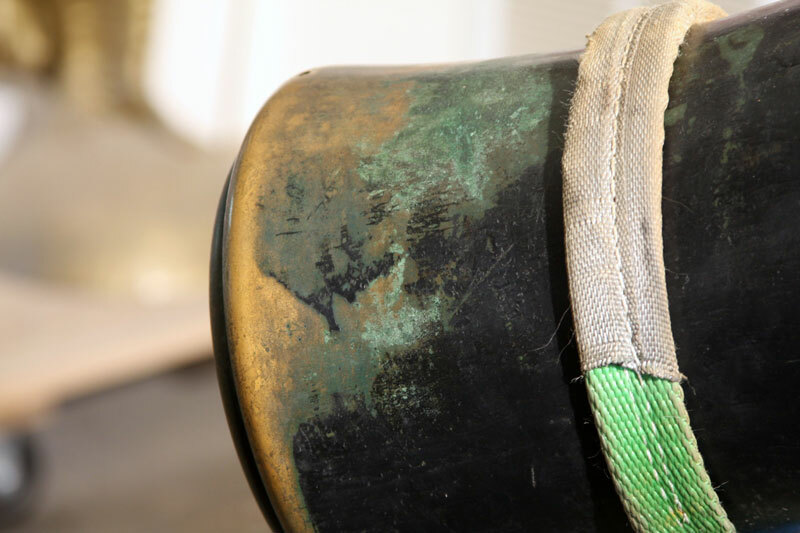 The barrel was found to have been deeply etched by “acid rain” which had occurred during years of outdoor display prior to museum acquisition. 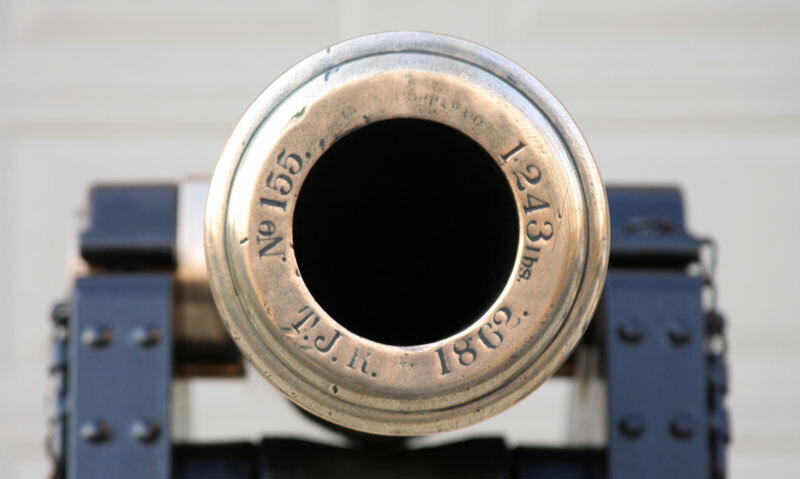 The bronze was polished, as per curatorial request, to return the Napoleon 12-pounder to an “in-use” appearance based upon period descriptions of artillery during the Civil War. Paint samples were taken from the carriage to determine the original paint scheme and color. 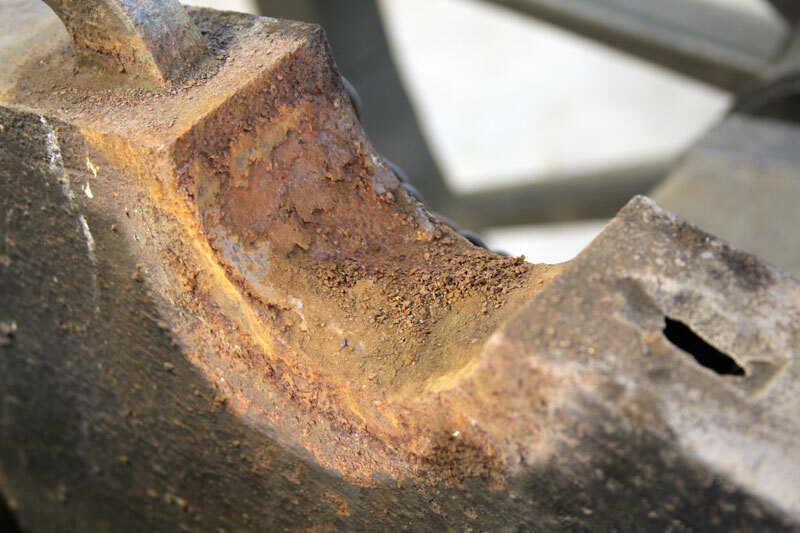 Active corrosion on the carriage was mechanically and chemically stabilized, prepped and repainted. The polished barrel was lifted and installed on the newly painted carriage before it was delivered to the museum.